THURSDAY, April 26, 2018 (HealthDay News) -- Many of the rescue workers who flooded the ruins of the World Trade Center after 9/11 now face their own private battles for survival, a pair of new studies shows. 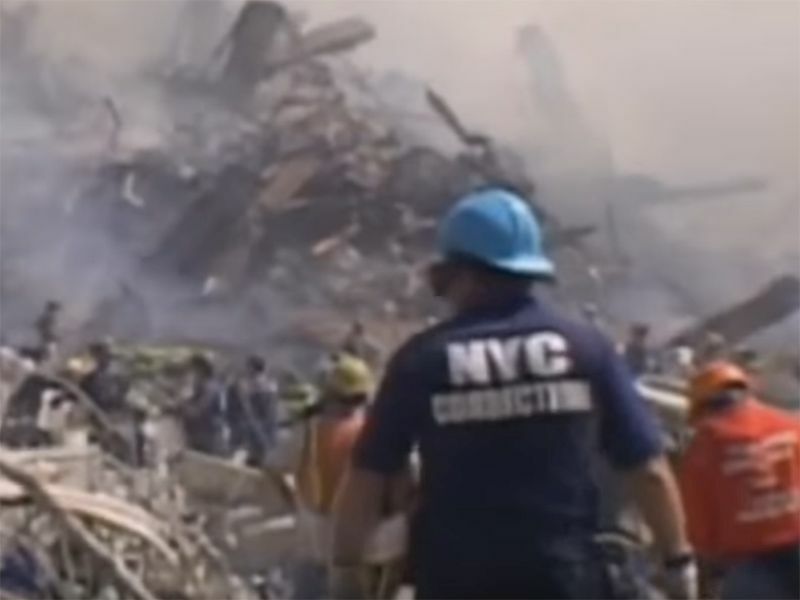 New York City Fire Department employees who worked at Ground Zero are expected to develop cancer at a greater rate than their fellow New Yorkers over the next decade, the first study found. For example, Ground Zero firefighters are being diagnosed with the pernicious blood cancer multiple myeloma years earlier than would be expected, and their cancer is more aggressive than is typical, the second study discovered. "We should continue to have cancer screening for those who were at the site, and we should have that for the next 15 to 20 years at least," said Rachel Zeig-Owens, lead author of the first study and an epidemiologist with the FDNY World Trade Center Health Program. "We're showing it will be valuable and necessary." When the World Trade Center towers crumbled on Sept. 11, 2001, people were exposed to a brew of airborne toxins that included a number of known carcinogens, Zeig-Owens said. These included dangerous heavy metals, hydrocarbons and asbestos. "Think of an office building that was just pulverized, and everything that was in it," Zeig-Owens said. "All of that is coming down, and people are breathing in that dust." Zeig-Owens and her colleagues conducted the first study to help the World Trade Center Health Program plan its response to a possible wave of future cancer cases caused by these toxins. They estimated that in the 20 years following the 9/11 terrorist attacks, an estimated 2,960 new cancer cases will develop among rescue workers who responded to Ground Zero. The rescue workers are at increased risk of prostate cancer, thyroid cancer and melanoma in particular, the researchers found. The estimated cost of the first year of cancer treatment for those people will be more than $235 million over two decades, the researchers said. "The first year of treatment is the most expensive, normally, and that's why we wanted to focus on that," Zeig-Owens explained. A separate group of researchers undertook the second study after noting that New York City firefighters appeared to be developing aggressive forms of multiple myeloma at younger ages, said lead author Dr. Ola Landgren. He is chief of the Myeloma Service at Memorial Sloan Kettering Cancer Center in New York City. A review of 16 cases found that "the age of onset is about 10 to 15 years earlier than the general population," Landgren said. "We also characterized the tumors in those patients, and we showed there are features of more aggressive biology than if we compare with [the] general population." To predict future cases of multiple myeloma, Landgren and his colleagues analyzed blood taken from 781 Ground Zero firefighters as part of a screening program. The researchers looked for a disease called monoclonal gammopathy of undetermined significance (MGUS), a usually benign condition in which an abnormal protein shows up in the blood. MGUS is a precursor to multiple myeloma. "Among patients who do develop multiple myeloma, they always run through a proceeding precursor state," Landgren said. Ground Zero workers have rates of MGUS nearly twice as high as a comparison group of people from Minnesota who were not exposed to the toxins, the researchers concluded. The results of both studies were published April 26 in the journal JAMA Oncology. It's not clear exactly how much of this cancer risk results from the World Trade Center aftermath, said Dr. Otis Brawley, chief medical and scientific officer of the American Cancer Society. It's tough to assess the direct impact of Ground Zero because firefighters typically have a higher cancer rate than average folks, said Brawley, who wrote an editorial accompanying the studies. "It's been proven for years that firemen have a higher risk of multiple myeloma compared to the regular population," Brawley said. "I'd love this World Trade Center population compared to firemen from Chicago or Philadelphia or Boston or Detroit, as opposed to a group of people who breathe that Midwestern unpolluted air." Zeig-Owens agreed, noting that a follow-up study is underway that would establish a comparison group of firefighters who did not work at Ground Zero.